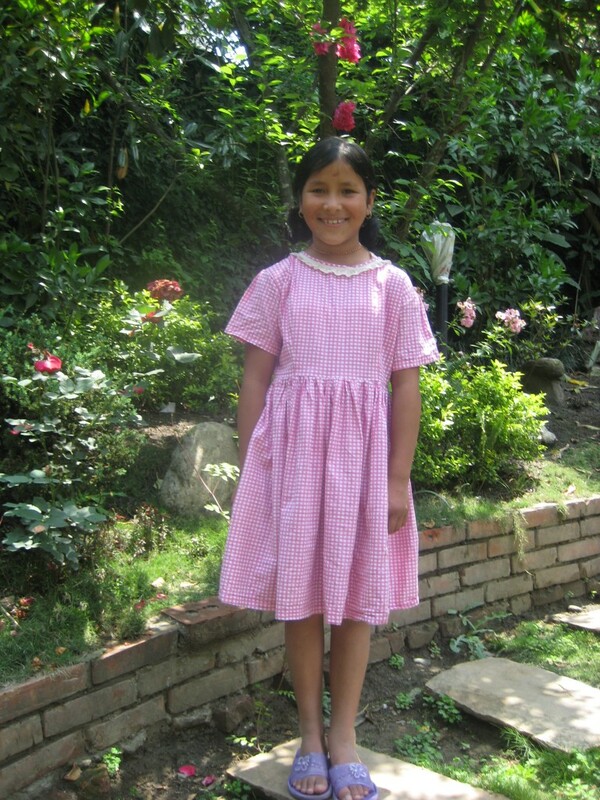 Thanks to those who supported our ‘Bring them Home for Dashain’ campaign and the ongoing support of sponsors and donors internationally, Bimila went home for the first time in 9 years. She was very young when she left her village, remembering very little from her childhood. 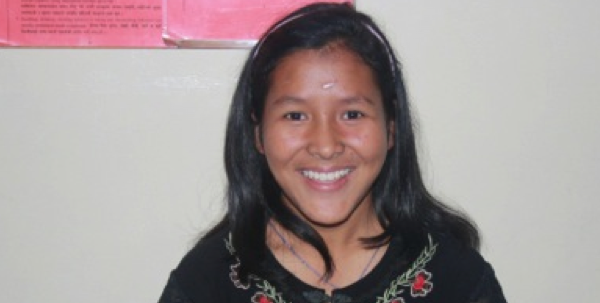 Her parents sent her to get a good education in Kathmandu. Like so many others, Bimila became displaced and her relatives unable to care for her. She was brought to Umbrella when she was just 5 years old. Due to her family’s impoverished background, she couldn’t return to her village, nor could they afford to visit – until last Dashain. Bimila in Umbrella in 2008. When she reached Jumla airport (in the far western region of Nepal), her father came to meet her but she did not recognize him. She was looking here and there. “I was very nervous. I was just thinking ‘how are my parents? How far is my home?’” Bimila was travelling with Yanzen, another girl from Gauri Shankar House. Yanzen’s father recognized Bimila’s father and re-introduced parent and child after 9 years. She felt shy. They climbed a small hill to reach her house. She was very much surprised when she reached the home. “It was beyond my expectation. I did not know I have had more siblings at my home. I wanted to cry when I saw my mother; and small sisters and brother.” Three younger sisters and a younger brother were born into her family since she had left. She had never met them before. She found her village and the local people very different. She could not understand the villagers’ dialect in the beginning. She noticed how hard-working they all were, tending to their animals and farms. “There are schools but the education is not good.” She said she felt lucky to be at Umbrella getting good education. She became very close with her sisters within a month. She liked the village, villagers, and her home and family members. It was very difficult to return back from there as she felt so attached with her family and village. She was delighted to have the chance to go back and is now working hard on her studies in Class 9. 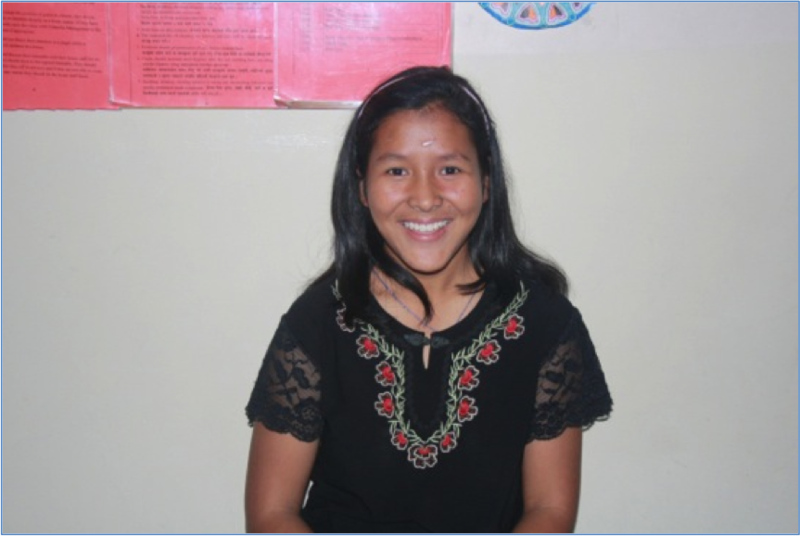 Bimila, now in Class 9, has grown into a kind and mature young woman in our Gauri Shankar Home. Returning home at Dashain is a great opportunity for children to reconnect with their families and rebuild bonds eroded by years of separation and is a crucial part of our Reintegration Programme.